I was standing in front of the light boxes hanging on the wall in the breast surgeon’s office staring at the mammogram films of my left breast. The surgeon pointed to lesions that resembled a galaxy of twinkling stars in my milk ducts. The Milky Way. A bad joke. “You’ll need a biopsy,” she said. I was no longer a nurse practitioner but another fifty-five-year-old worried woman facing her mortality. Days later, my husband chased after me as I raced to pick up the phone. “I’m sure it’s not cancer,” I said to reassure both of us as I lifted the receiver. But it was and it had a name: ductal carcinoma in situ, D.C.I.S. A couple of weeks passed and on our 31st wedding anniversary, instead of enjoying a celebratory dinner, my husband and I sat stiffly in an oncologist’s office, hearing about lumpectomy with radiation versus mastectomy. And statistics: a one percent chance per year for the lesion to move to the unaffected breast. One percent might as well be one hundred percent my anxious brain calculated. It was cancer wasn’t it? So it had to be deadly. But what if it wasn’t cancer? Back in 1997, the year of my diagnosis, I discovered the uncertainty about D.C.I.S. breaking through the cell wall and migrating—metastatic cancer was what killed you. I was working at the National Institutes of Health. I hastened into the library to search the oncology journals, talked with experts, learned about prognostic factors based on size, margins, nuclear grade of the cells. Serendipitously, I attended a conference where three female oncologists discussed whether or not D.C.I.S. would ever become invasive. After the mastectomy, my surgeon declared me cured. I became a “survivor.” That identifier pushed me into high-alert-mode. I consulted a nutritionist and spent hundreds of dollars on vitamins and supplements. I had two large birthmarks excised from my skin to avoid melanoma since now I was cancer prone. I briefly entertained the idea of having a prophylactic mastectomy on the right breast. When a benign cyst was discovered on an ovary, I found a surgeon who agreed to remove both to prevent the chance of metastasis that could spread from breast to ovary. My primary provider treated my every ache with exaggerated alarm because of my history. 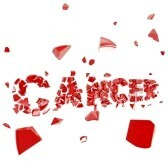 For the past 16 years, I succumbed to the psychological fear produced by the word cancer. Sadly, my story’s not unique. Recently, there has been “ a growing concern — that hundreds of thousands of men and women are undergoing needless and sometimes disfiguring and harmful treatments for premalignant and cancerous lesions that are so slow growing they are unlikely to ever cause harm. The advent of highly sensitive screening technology in recent years has increased the likelihood of finding these so-called incidentalomas — the name given to incidental findings detected during medical scans that most likely would never cause a problem. However, once doctors and patients are aware a lesion exists, they typically feel compelled to biopsy, treat and remove it, often at great physical and psychological pain and risk to the patient. The issue is often referred to as overdiagnosis, and the resulting unnecessary procedures to which patients are subjected are called overtreatment.” Tara Parker-Pope, Scientists Seek to Rein in Diagnoses of Cancer, New York Times, July 29, 2013. Thankfully, the medical establishment has begun to suggest taking cancer out of the label ductal carcinoma in situ, calling it something like “high-grade dysplasia” or as stated above, incidentalomas. And also to rethink the frequency of mammograms. There will likely be fallout from the mammogram industry toward discounting the significance of D.C.I.S. Some literature suggests that D.C.I.S. may even go away without treatment. And simply renaming D.C.I.S, sans cancer, seems almost too simplistic. But I believe both changes would prevent women in the future from physical and psychological damage due to overdiagnosis and overtreatment of D.C.I.S. These changes can’t happen soon enough. I’ll never forget your phone call. Such a trying time for so many. And to think the worry may have been needless all these years is just unthinkable. Yes, how true for me and countless other women. Oh Marianna. I am so sorry. To think of all the hand-wringing and anguish you and your family have suffered and the time lost to needless worrying. And the unnecessary removal of your breast and your ovaries. This is infuriating. The health care industry reacts more to money making procedures and use of expensive and lucrative equipment–mammograms, among others–than to the affects that over treatment has on individuals. Once again, you’ve hit on a raw nerve….for me too. Thanks so much for writing about this phenomena that seems to get lost in the pre-treatment frenzy. We need to see more reaction or groundswell from those of us who are/were affected by over diagnosis and over treatment. I had a mastectomy four weeks ago following the screen detection of two small invasive lumps (no symptoms). I found out about these controversies (which extend to the overdiagnosis and treatment of early invasive cancers as well as DCIS) after diagnosis but before treatment. The decision i had to take about surgery was agonising. And now I have to decide about hormone treatment. Like you, the effects will be lifelong, and I’ll never know if I did the right thing. You can only make a decision based on the best knowledge you have at the time. Good luck in sorting it all out. My thoughts are with you.